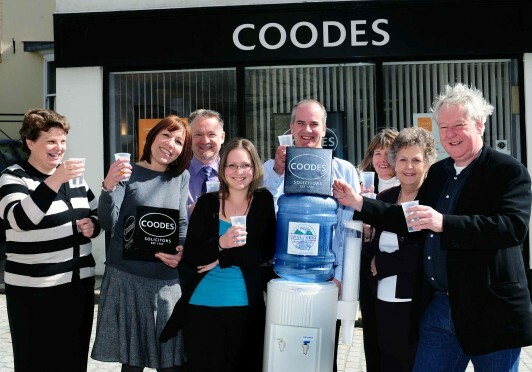 Seven members of staff at Coodes’ St Austell office are taking part in the month-long experiment being run by Wadebridge and Plymouth-based spring water company, H2O on the Go! The project aims to test if drinking eight glasses of water per day does have a positive impact on business. Coodes’ managing partner, Ian Taylor, said: “We all hear reports about how you should be drinking two litres of water a day to help your health. “It’s something I try to do but it can be easy to forget, especially if I’m busy. The six members of Coodes joining Mr Taylor are Julian Holmes, Julie Rafferty, Sally Patey, Kate Tucker, Jeanne Clements and Suzanne Skerry. During the four-week trial H2O on the Go! will provide Coodes with a water cooler and bottled water, as well as small 500ml bottles for the team to drink when out of the office. 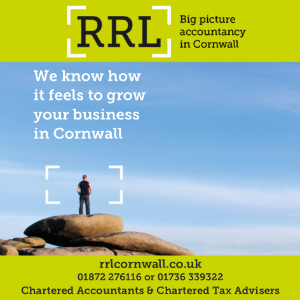 William Hiley, CEO of H2O on the Go!, said: “We pick up research and information in the media about the benefits of drinking water, but it will be great to run our own trial and measure the impact of drinking healthy, Cornish spring water. “The Coodes team have already filled in a baseline questionnaire so we have an idea of where they are now in terms of amount of water drunk on a daily basis, health and productivity. “They will then fill in a weekly questionnaire and we will monitor their progress to discover what the impact has been. Previous articleFancy running a pub?